The Colossus modification increases the pressure of some CPS water guns such as the CPS 2000, CPS 2500, CPS 3000, CPS 3200, CPS 4100, Monster, Monster X, Monster XL, Flash Flood, HydroBlitz, Arctic Shock, among others. 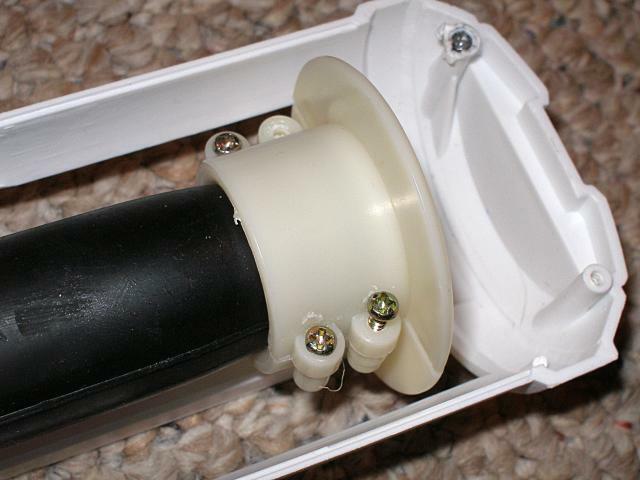 The modification can be performed on any water gun with a cylindrical pressure chamber. 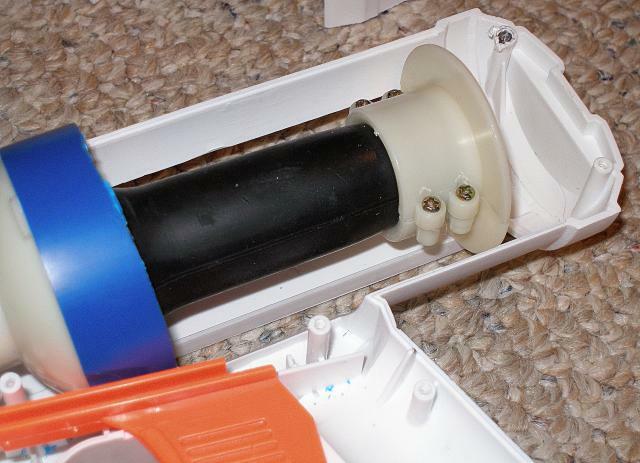 The only other power modification for water guns with cylindrical pressure chambers is CPS chamber replacement, which is easier and achieves better results than Colossus. Colossus historically has been a difficult modification to do, so PC replacement may become the best option. 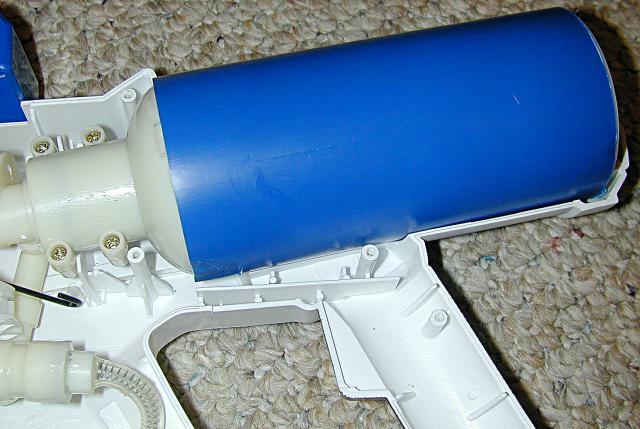 I will be modifying a Super Soaker Arctic Blast in this guide. The instructions will be largely the same, but a few things will be Arctic Blast specific. In the most simple terms, Colossus is layering bike tubes or latex tubing or any sort of resistance over a cylindrical shaped rubber pressure chamber. 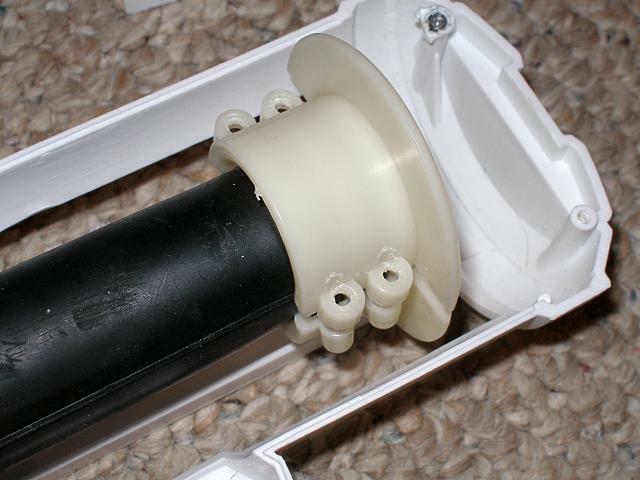 The modification works by increasing the thickness of the chamber, making more pressure, like how two rubber bands pulled at once are stronger than one. 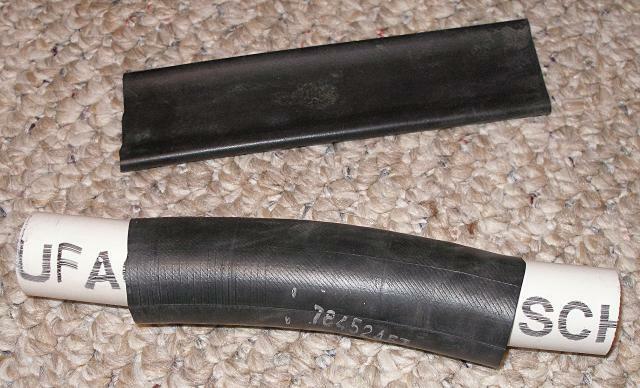 This guide will show how I Colossused my Arctic Blast with bike tubes, and not any other method. Some people use long strips of bike tube, some people use short strips, some people use rubber bands, etc. There are many different ways to get the tubes over the pressure chamber, but this guide will only cover what I think is the easiest method, thought of by forum member zacharious8. You may prefer another method, so I would suggest checking out our links section to see how others do this. I would also suggest making your own method up to see what you like. Colossus is generally harder to do than the K-mod because balloons have less resistance than bike tubes. The general rule is that 5 or more bike tubes will require a disabled pressure relief valve, but only testing will determine whether or not the valve needs to be disabled due to variations in bike tubes and the valves of water guns. 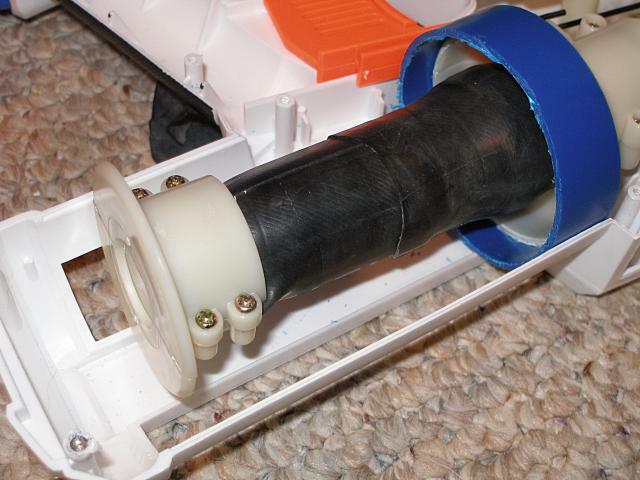 If when you test your water gun no water or little water can be pumped into the pressure chamber, you need to disable the pressure relief valve. Because about 5 bike tubes is necessary before the PRV needs to be disabled, 5 bike tubes can be thought of as the equivalent of about 30 balloons, or one bike tube equals 6 balloons. That rule is rough and depend on the bike tubes used. Read the K-mod page for information on about how much of a power increase you can expect and for additional modification you might want to perform. Remember that this is mainly a pressure modification, and that may or may not increase performance. Increased pressure might require a larger nozzle to perform better because the smaller nozzle (like on the Arctic Blast used here) would be affected by drag too much and actually have reduced range after the modification. I converted the burst nozzle into a normal nozzle so I could get a larger nozzle on my Arctic Blast. Open your water gun. You'll need to get into the pressure chamber, and the only way is to saw into it. Get a hacksaw and saw around all sides of the chamber case, being careful not to damage the rubber chamber inside. You might have to remove the pressure chamber case and then rotate it along the saw blade. 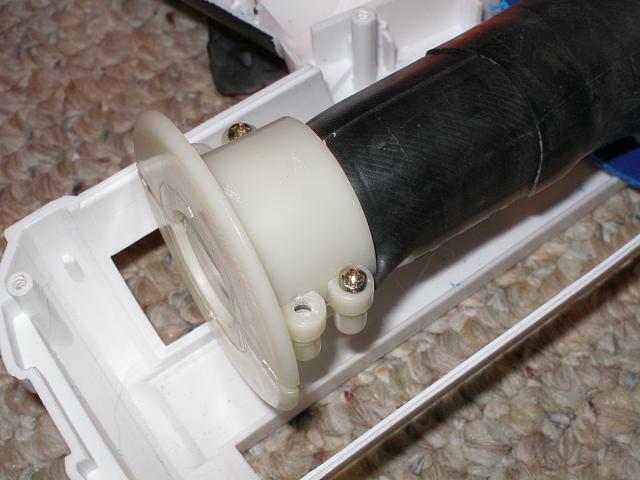 I sawed off the pressure chamber case and the rubber pressure chamber itself is pictured above. The end clamp needs to be removed. Unscrew the screws from one side first, and them from the other, to prevent stressing one side too much. Put the screws someplace safe like a cup, a magnet, or on a piece of tape. This plug is stuck on the inside of the rubber PC. You don't need to remove it. 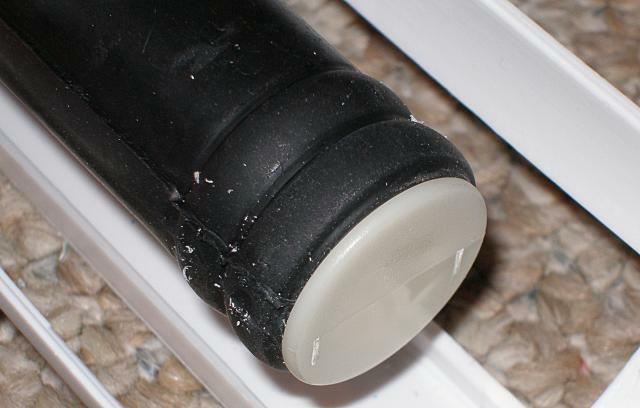 In fact, removing this can be hard because the rubber provided a lot of friction. Now you need to get some bike tubes. I use old tubes that have holes in them somewhere. You can go to a bike shop and buy whatever the cheapest tube is. Watch out for small diameter wheel tubes because they can have too much curve to them. Also watch out for street bike tires because they can be too small. I have a mountain bike and these tubes are pretty good for Colossus. I cut the tubes into pieces. The pieces shown are about 5 inches long, but I ended up using a shorter 3 inch piece in the final one. I roll the pieces up into a donut-like shape and then stretch them over the chamber. 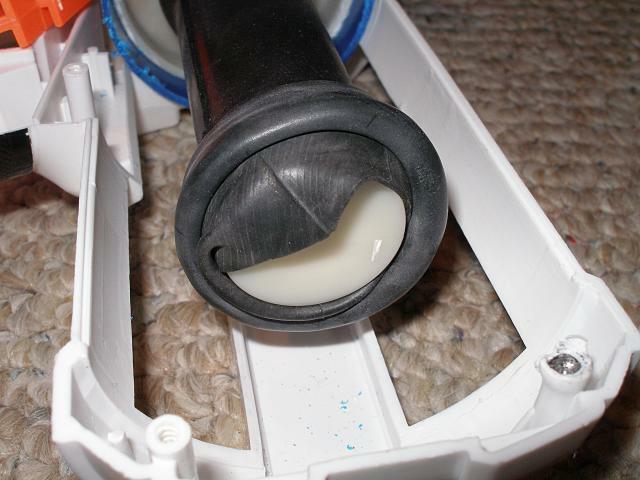 This is a new method that is easier in my opinion than the old method of putting a dry lubricant such as talcum powder over the chamber and then sliding on small strips. If you want to do the old method, check out the links section of this article. I have a piece of PVC pipe here to help me roll up the bike tube. I then simply rolled the piece into a small donut like shape. 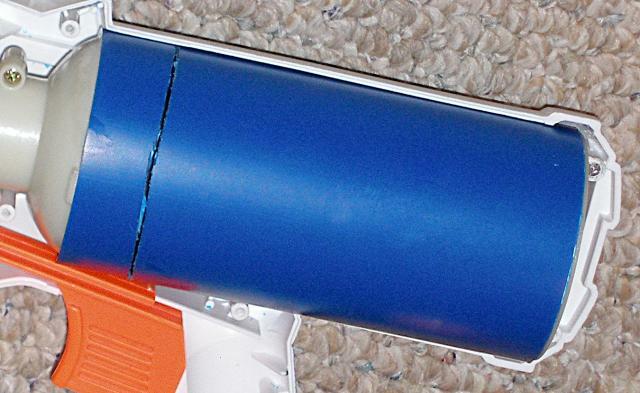 Make sure you can stretch the piece with your two hands so it has a hole at least larger than the pressure chamber. If you can't stretch it that far, you'll have to use smaller strips with this method. I stretched the donut over the end of the pressure chamber. All I have to do now is roll it out. I cut the excess piece of bike tube off later. 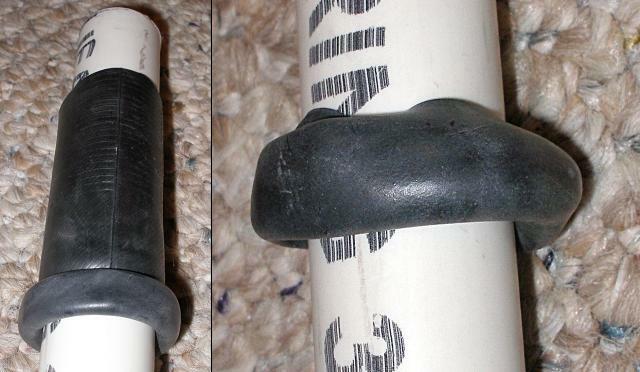 The picture above on the left shows the rolled out piece of bike tube. I made another donut. With some help from my brother who held the pressure chamber for me, I stretched the donut over the chamber. The image on the right is not of my brother helping me, rather, of me moving the bike tube further down the chamber. The image on the left above shows the chamber with one layer on it. At this point, repeat the layering process for however many layers you want. 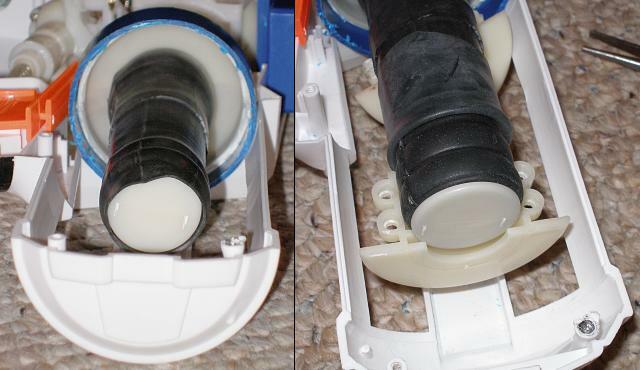 The image on the right shows even more excess rubber. The clamp can't close easily over additional rubber, so I rolled that rubber back. You might be able to do a second layer by having a very long piece of rubber hanging over the end. You can roll it back over the entire chamber. 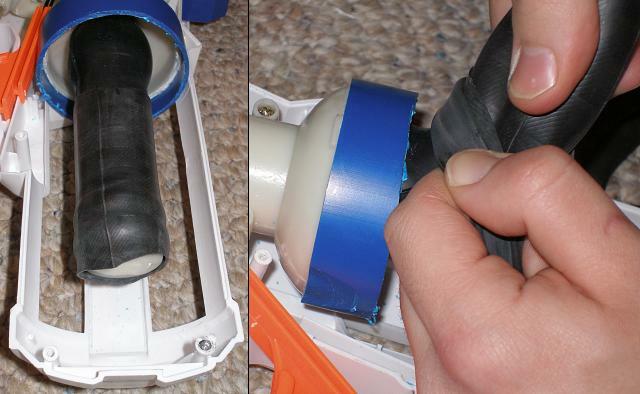 Here I simply cut it off with scissors, being careful not to puncture the rubber chamber. The clamp needs to be put back on. This can be difficult, so get another clamp, put the tubing clamp on, and then clamp the other clamp on that clamp (that's confusing). Look at the pictures if you are confused. Put the screws back into the clamp from one side to the other. You might have a gap between one side like in the image above, but as long as the screws are long enough to engage the holes they go in, you can close the clamp. Once I got screws on both sides in, I removed the other clamp and put the other screws in. The clamp has been closed. You can see the two bike tubes I layered over the chamber. Put the chamber cover back on and close the case. Test our your water gun to make sure it can be pumped. 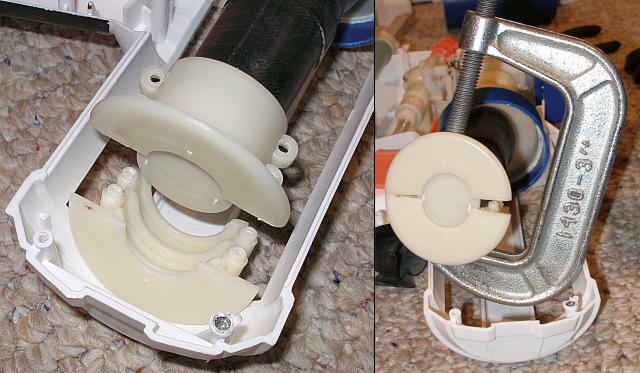 If it can not be pumped, either remove layers or disabled the pressure relief valve. If you get reduced range and it appears that the stream is breaking up a lot, you might want to do some of the nozzle modifications listed on the modifications page. Please post at our forums if you have any questions or problems.